WHEN | WHERE Sixth and final season begins Jan. 3 at 9 p.m. on WNET/13. WHAT IT’S ABOUT The sixth and final season takes place in 1925, with major changes confronting Downton, notably pressing money concerns. Those may affect staffing needs, which in turn affect the future of longtime and loyal servants. Some key cliffhangers need to be addressed, and fans will quickly learn if they are. Among those: What is to become of the unresolved case against Anna (Joanne Froggatt), out on bail, and Bates (Brendan Coyle)? Tom (Allen Leech) has left with his daughter for America. But . . . for good? Also, Carson (Jim Carter) has proposed to Mrs. Hughes (Phyllis Logan). She has accepted, but what about a wedding? If a certain nostalgic sentimentality creeps into this final ride, that’s to be expected. 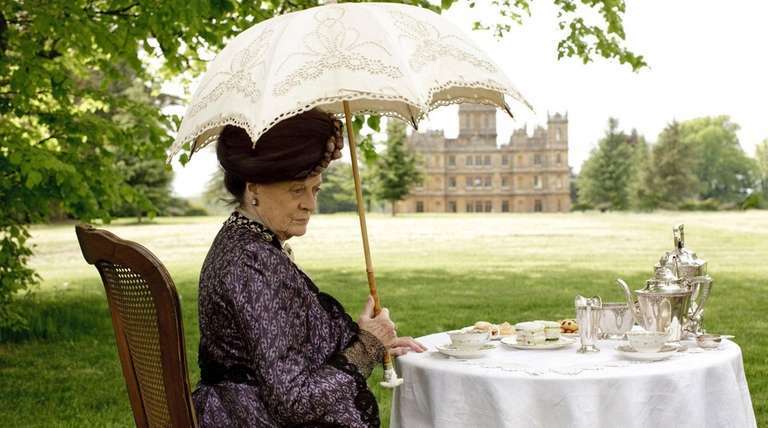 “Downton Abbey” always did have a soft heart, and a generous one. Now is not the time to bring out the long knives and gall. “Downton” intends to go gently into its own good night. It will. Sic transit . . . In a sense, this famous phrase could have been applied to any of the prior five seasons. “Downton” was about a present poised on the edge of a tumultuous future. This supplied the dramatic tension: a sense that we were looking at a small canvas set within a much larger one. That small one, with a few obvious and dramatic exceptions, was an oasis of calm, of stiff-upper-lip British resolve, of traditions and immutable values, of great country estates and their benevolent lords and ladies. That larger canvas was the raging storm — the world beyond in constant, even violent motion — while viewers were left to wonder when the wind and rain would lash Downton. It did at times (recall that “Downton” did begin with the sinking of the Titanic), but at least there was always Carson to bar the door. This season, even Carson’s resolve will be tested by more pressing personal matters. Without getting into any spoiler details, Lady Violet (Maggie Smith) represents the last great bulwark against that encroaching storm, specifically modernity — even if it is 1925 modernity. Lady Mary (Michelle Dockery) is her antithesis if not adversary, with a foot in the future. Robert (Hugh Bonneville) and Cora (Elizabeth McGovern) remain thoroughly decent, but even they sense their time is passing. Show creator Julian Fellowes has said in interviews that this season will be about “resolution,” and it’s obvious he must be speaking of Thomas Barrow (Rob James-Collier), “Downton’s” most interesting and most unresolved character. Closeted Barrow remains true to himself, or perhaps false to himself: observant, embittered, resentful and jealous, a dreamer who thinks dreams are for someone else. “You’re your own worst enemy,” Robert tells him. Yes, déjà vu all over again, except this season, even Barrow changes. Everyone does. Everything, too. Sic transit . . .
BOTTOM LINE Beautiful, elegant final ride, full of love and nostalgia.